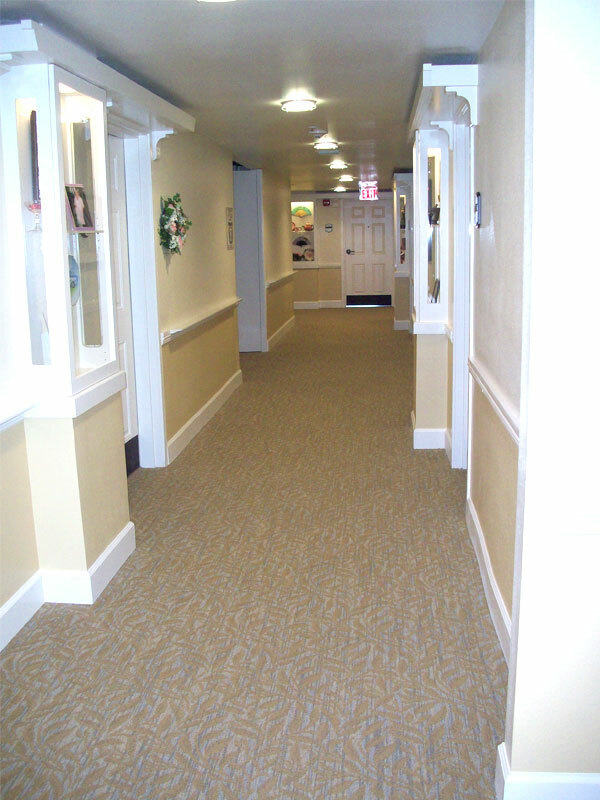 Phase 1 Bldg D. T.I. 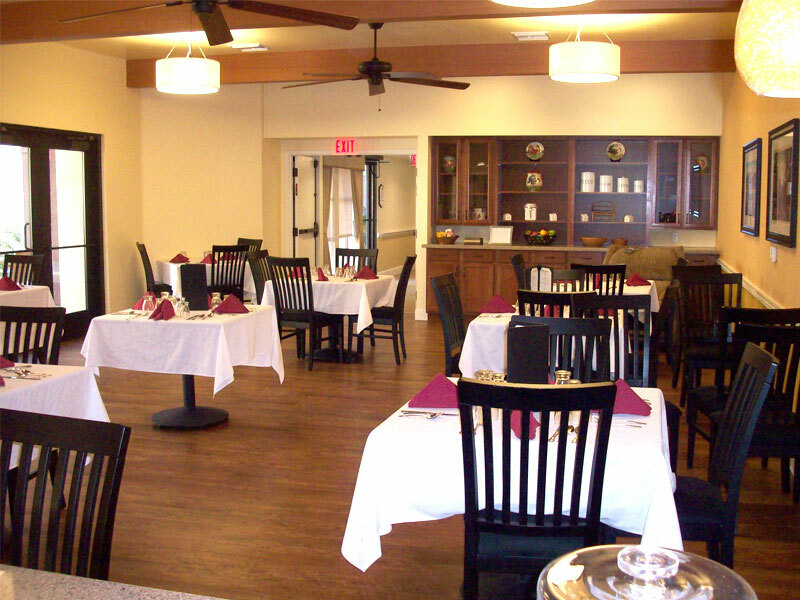 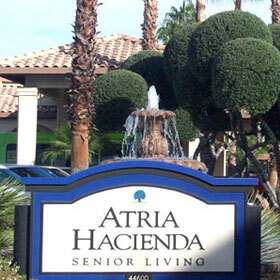 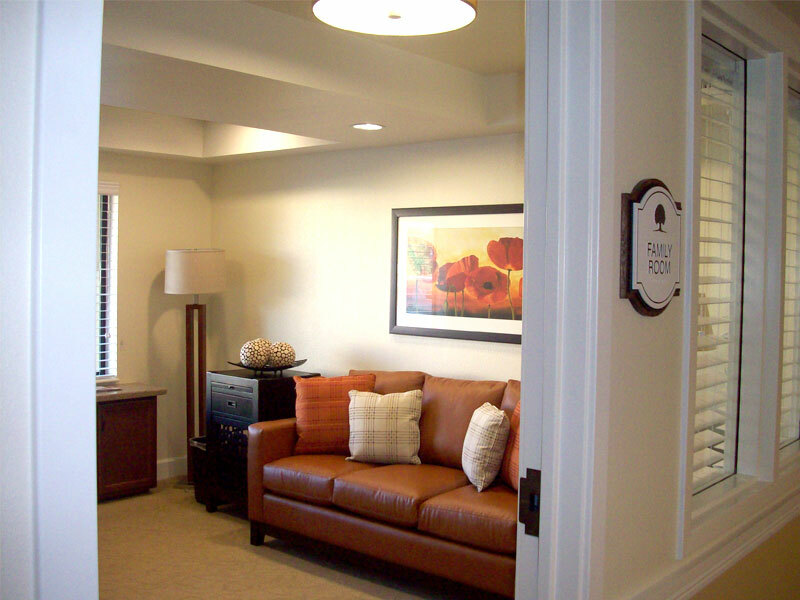 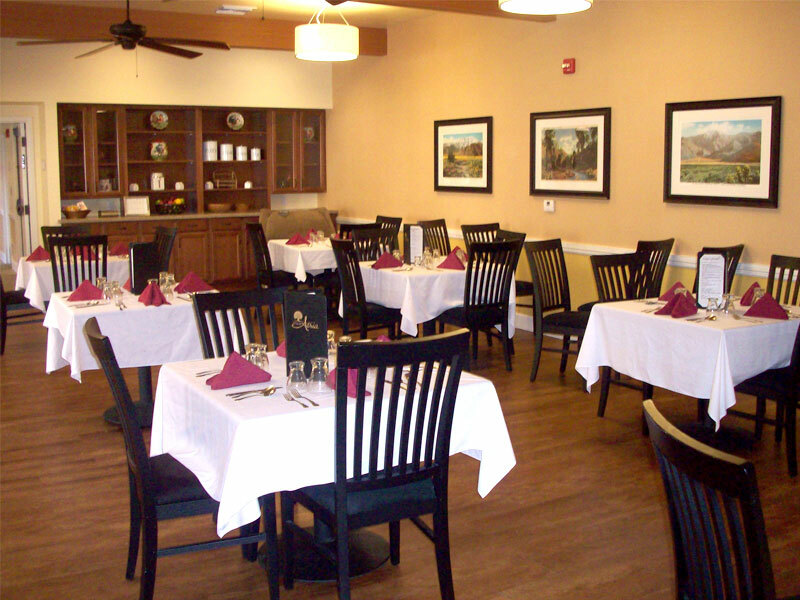 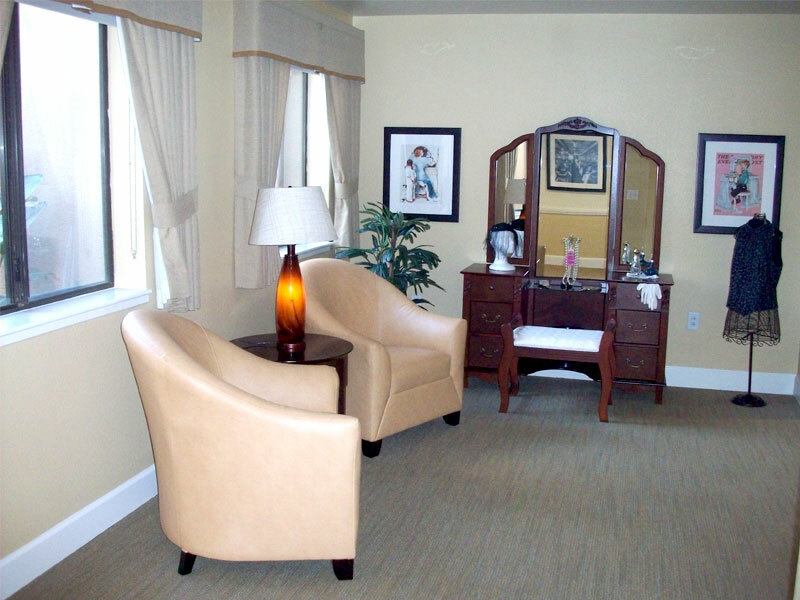 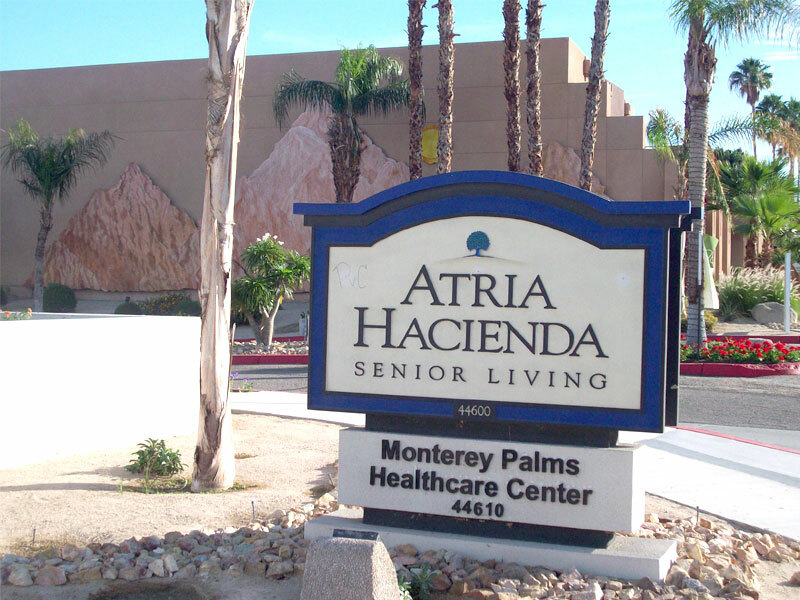 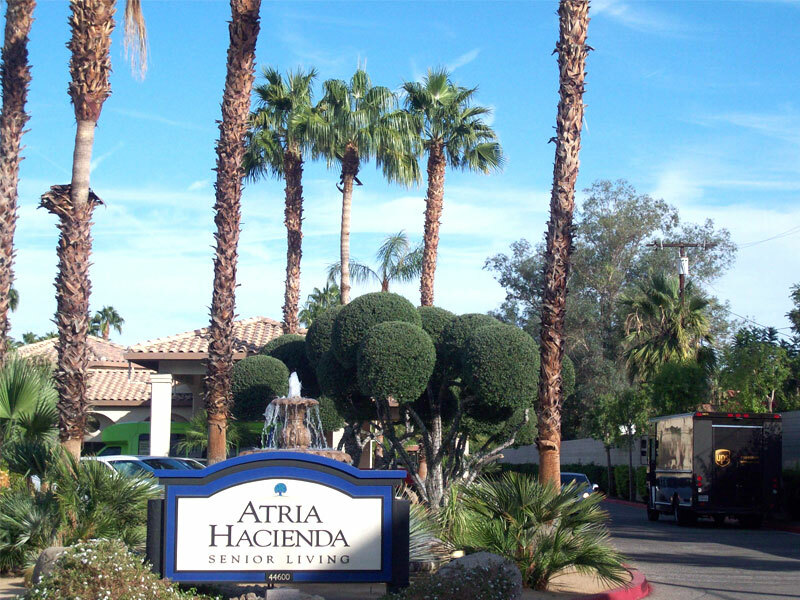 Atria Hacienda is an existing complex located in the City of Palm Desert. 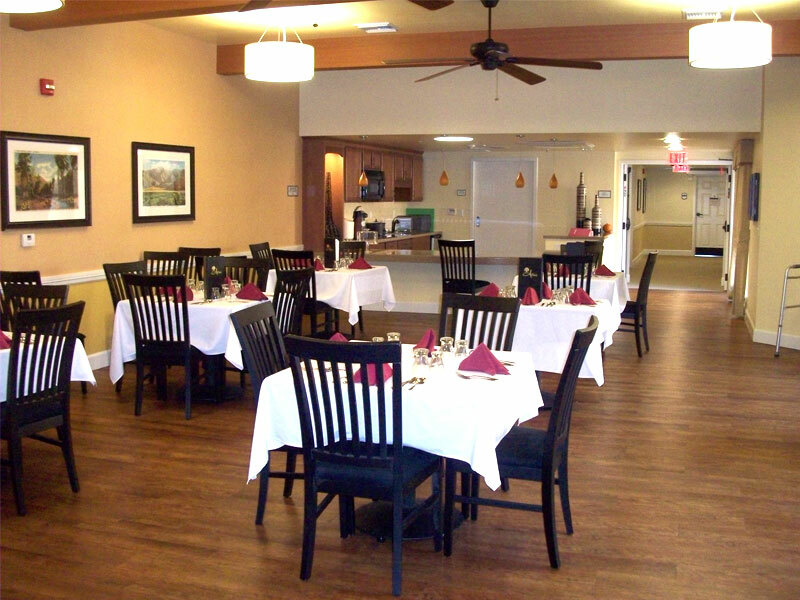 Built in the late 80's the complex was designed as a retirement community with common areas that included restaurants, hobby rooms, exercise rooms, computer work stations and many other amenities. 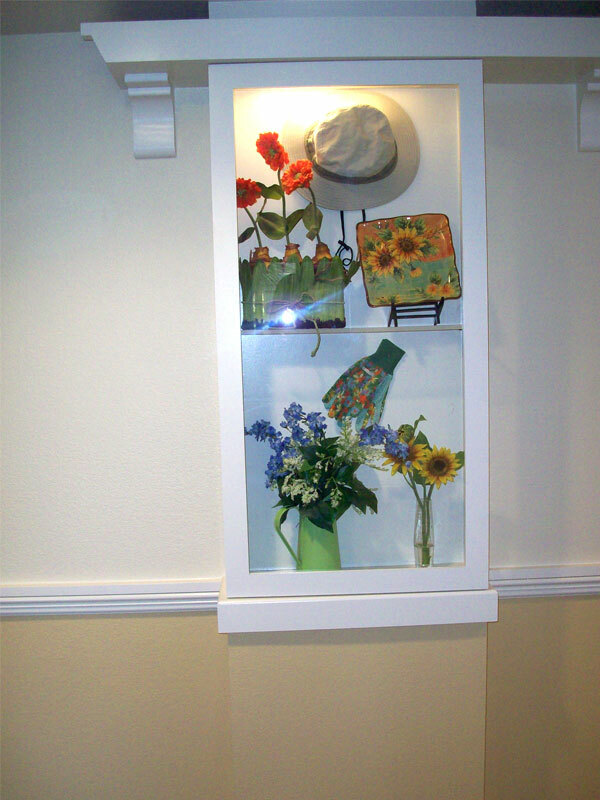 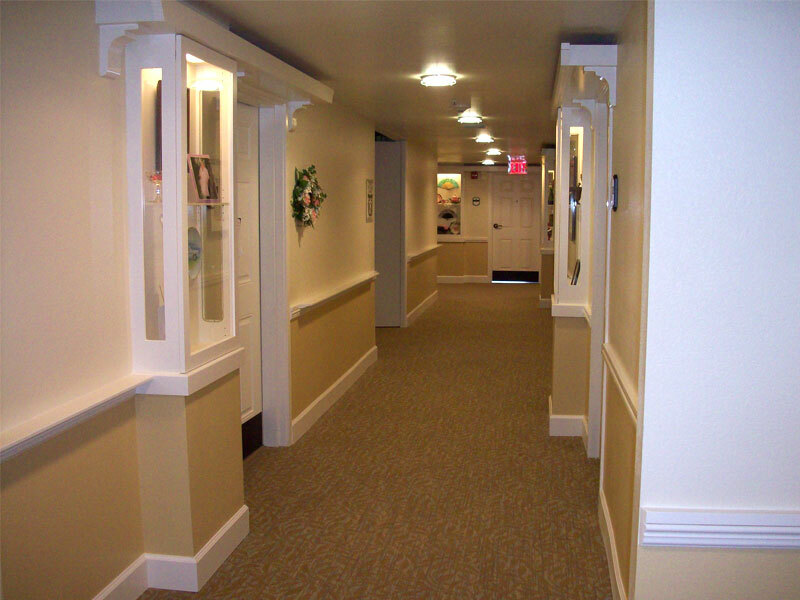 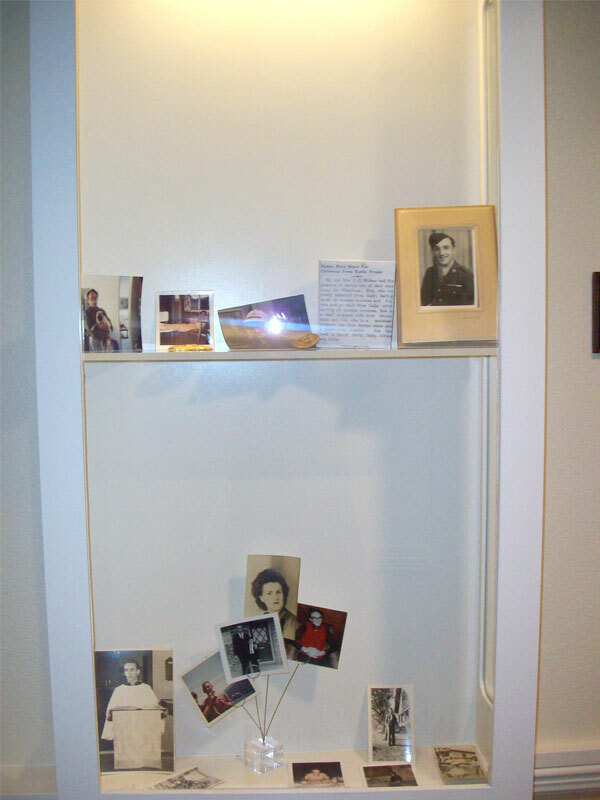 The ground floor of the "D" wing was being remodel to now create a place for residents with Alzheimer's. 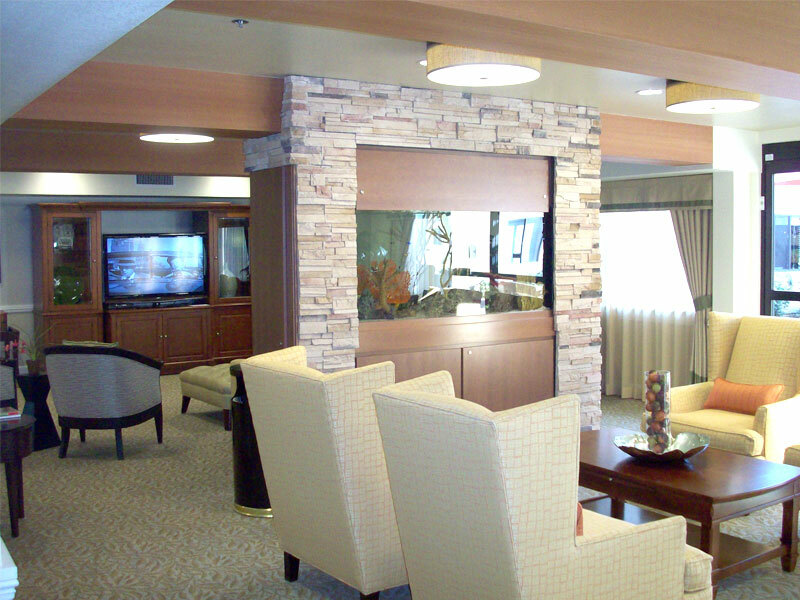 Modifications included "Life Safety" communications, remodeled units eliminating kitchenettes and direct access to outdoor patios. 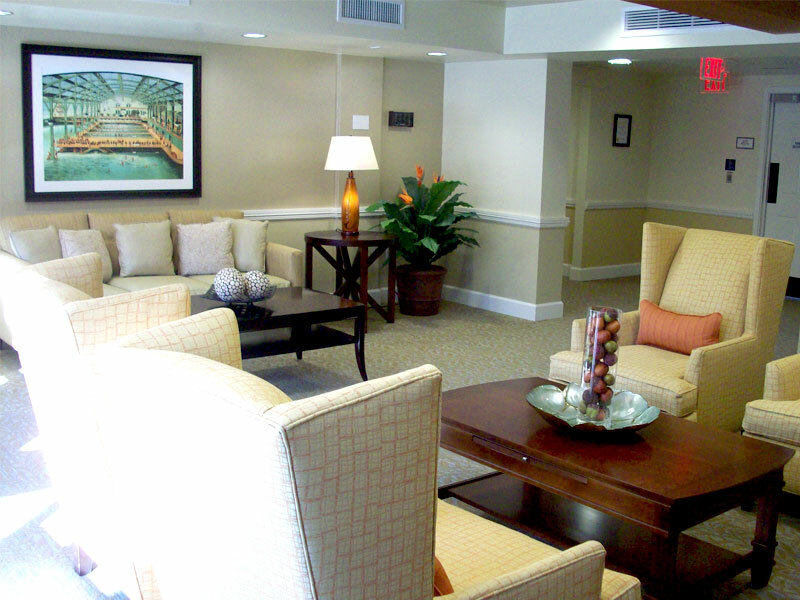 Inside the "D" many more living areas and common areas were added. 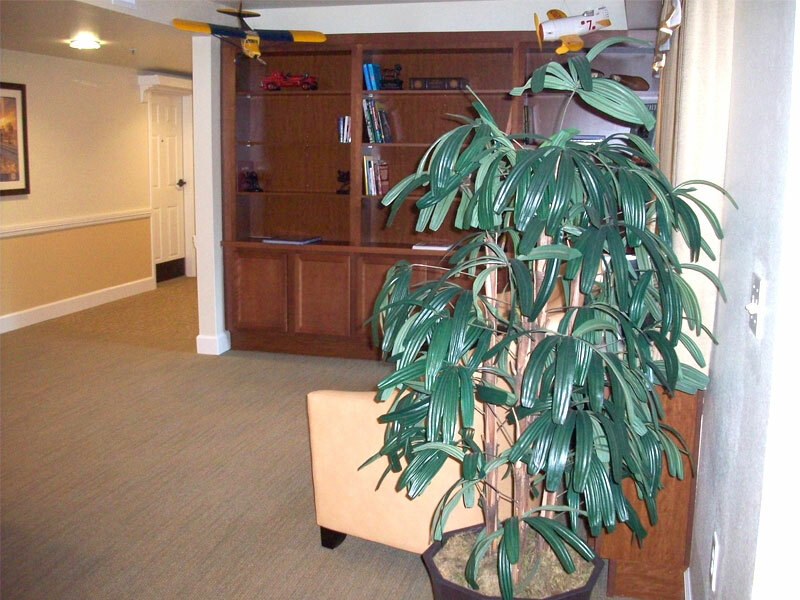 All this taking place while other tenants lived directly above the work we were doing, which included some substantial steel beam installations in a new lobby. 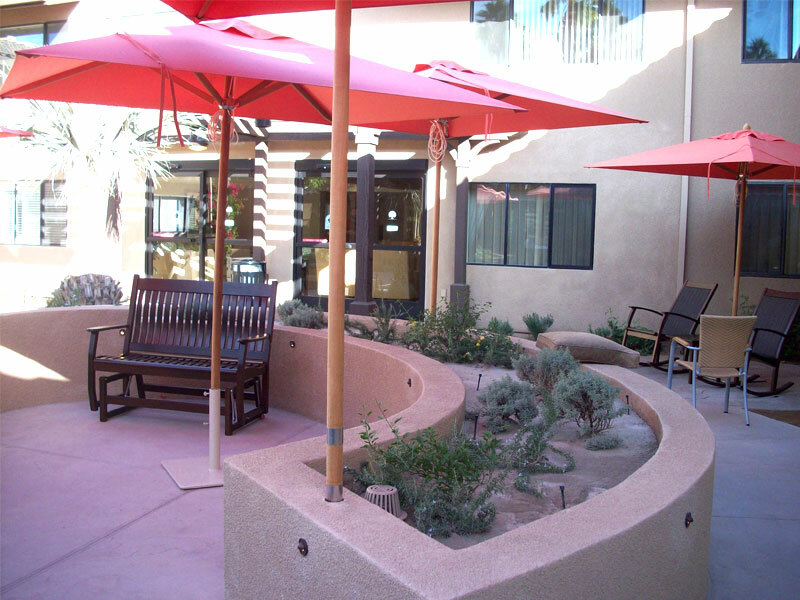 The interior courtyard had to be modified to accept the new demands for retaining on site water, so a complete underground retaining system along with new landscaping had to be brought through the main floor lobby for access to the new atrium. 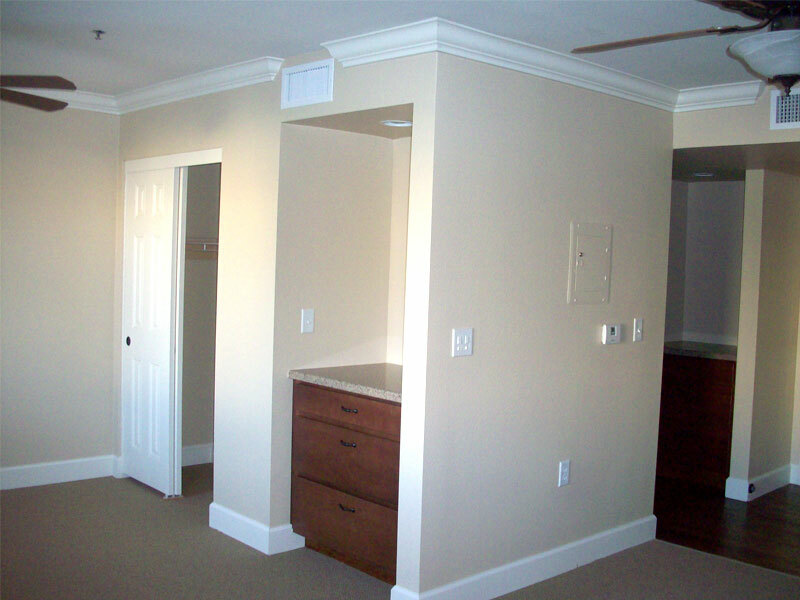 Originally on a nine week schedule, time had to be added for some of the materials specified required 10 to 12 week's delivery.